Let little mermaid in on the fun with this special holiday gift set featuring our signature purple Asian Magenta pattern! 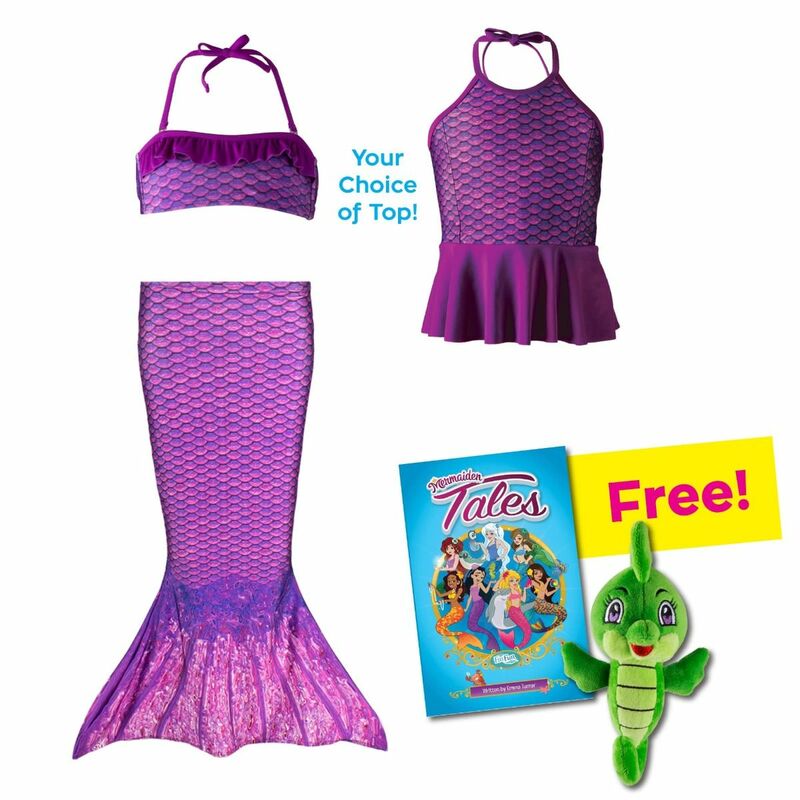 Set includes a mermaid tail skirt & swim top, plus free book and toy! Finally—a mermaid gift idea for toddlers you can easily add to Santa’s bag! Your little tot will adore this mermaid tail skirt in our gorgeous Asian Magenta Mermaidens pattern and matching swim top in a matching bandeau or tankini style. Once she’s dressed for any mermaid occasion, she’ll instantly feel like Mermaiden Jia herself with the bonus Akiko the Seahorse plush toy tucked lovingly under her arm. Plus, a special collection of stories found in the Mermaiden Tales book create magical story time and playtime adventures!